We can provide you with a full line of products and services with just one call to 410.273.7900. Maryland Portable Concrete operates 4 concrete plants serving Harford County, Baltimore County, Baltimore City, Cecil County, New Castle County, Delaware, and Chester County, Pennsylvania. All plants are Maryland State Certified and NRMCA compliant. The Cecil County Concrete Plants are also Delaware State Approved. In addition to the delivery of Ready Mix Concrete we can also provide your project with dump truck deliveries, concrete pump truck service, environmentally-conscious concrete wash-out and disposal and roll-off container service. Our customers speak directly with plant management and dispatch. 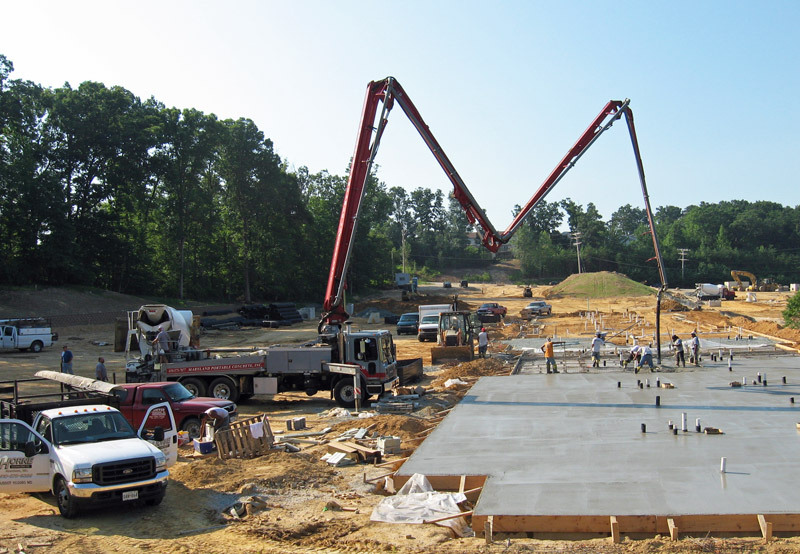 This direct one-on-one personal service is what separates Maryland Portable Concrete from the competition. Give us a call for your next project, whether it might be a 1 cubic yard sidewalk or a 40,000 cubic yard building, and let us show you the MPC difference!